You wash your face every day but still, it feels more like cracked leather than an actual human skin. Why is that? According to dermatologists, facial cleansing is not enough. Part of a good skincare routine are moisturizing and exfoliating. Cleansing the face is good for removing pimple-causing dirt and bacteria but at the same time, it gets rid of the hydration that the skin needs. As a result, the skin loses elasticity and becomes dry. It also becomes more susceptible to wrinkles. Daily facial moisturizing resolves this problem by sealing in the water in the skin to keep it hydrated. It does so by either stopping moisture from escaping the epidermis or by attracting moisture from the air into the inner dermis. But that’s not all. A weekly exfoliation is necessary to remove the dead skin cells on the topmost layer of the skin, revealing younger-looking skin layer underneath, and stimulating skin renewal and repair. Buy moisturizer suitable for your skin type. There are actually 16 types of skin but most of them fall under these four categories: dry or oily, pigmented or non-pigmented, wrinkled or tight, and sensitive or resistant. Knowing which of these is your skin type will help you make an informed decision on your purchase. For example, if you have dry skin, you’ll be better off with products that contain glycerine and mineral oil. Don’t rely on expensive products. It’s a common notion that expensive beauty products are better and more effective. That can’t be farther from the truth. Sometimes, a $200 moisturizer works just as well as a $100 product. Go for organic and natural products. It’s best to stay away from the “dirty dozen” when it comes to skincare products. Remember, the Food and Drugs Administration (FDA) does not strictly regulate the use of toxic chemicals in cosmetics so you should be careful. Consider the weather. Light moisturizers are more suitable during warm and humid weather. Thick moisturizers, meanwhile, are better during chilly winter season for maximum protection of the skin. Select enriched formulas. Look for moisturizers that contain retinol. This is a vitamin A compound that’s highly effective in reducing the appearance of wrinkles and fine lines. Hydroxy acids are also a must-have, triggering the growth of new skin cells. Soy compounds, meanwhile, can stimulate production of collagen and even out skin tone. Know the various types of exfoliants. There are basically two types: abrasives and chemical peels. Abrasives include scrubs, brushes and microdermabrasion. Chemical peels are mostly alpha hydroxy acids and beta hydroxy acids. Learn the pros and cons of each in order to make the right decision. Pick the right texture for your skin type. If you have sensitive skin, don’t pick harsh scrubs that contain coarse granules and strong chemicals. You don’t want to have microtears on your skin, as this will make it more prone to acne breakouts and bacterial infections. Do a sensitivity test before buying an exfoliator. To do this, apply a small amount of the exfoliant behind your ear. After 24 hours, check on the mirror to see if there’s any sign of allergic reaction. If there’s none, then you can use this exfoliant on your face. Make your own. Of course, the safest route is to make your own exfoliant at home. 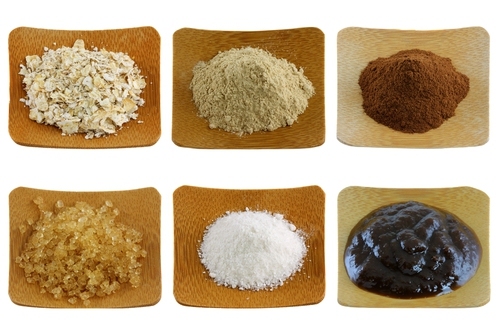 Some of the natural ingredients that you can use include sea salt, brown sugar and coffee grounds. It would also be a great idea to use honey, as it is a natural humectant, meaning it can help keep moisture in the skin while you exfoliate. It is also rich in antioxidants that can keep aging signs at bay. Check out this fantastic beauty treatment recipe for honey. If you want beautiful, smooth and baby-soft skin, don’t skip on moisturizing and exfoliation. Both of these are important parts of skincare routine that you can’t overlook.